There is no shortage of devices out there meant to help you enjoy a good old cup of coffee anywhere and anytime. But Hey Joe, developed by a duo of Atlanta-based entrepreneurs, is a little different. It doesn’t just hold your hot coffee for you or simply keep it warm; it lets you brew your mug whenever and wherever you please with nearly no waste. Hey Joe consists of two reservoirs with a coffee pod in between. 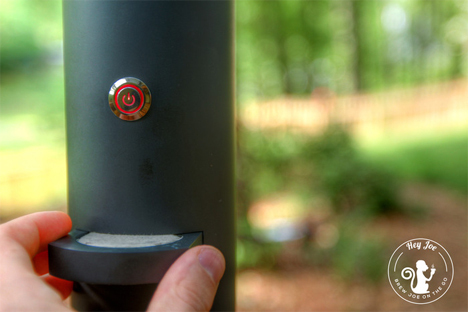 The top reservoir holds up to 14 ounces of water. 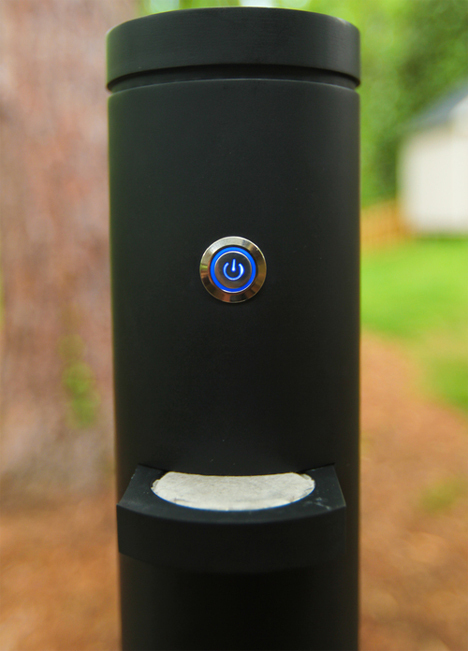 When you’re getting ready to go to work, class, hiking, or wherever your day is taking you, you fill up the water chamber and pop in a proprietary Hey Joe coffee pod. 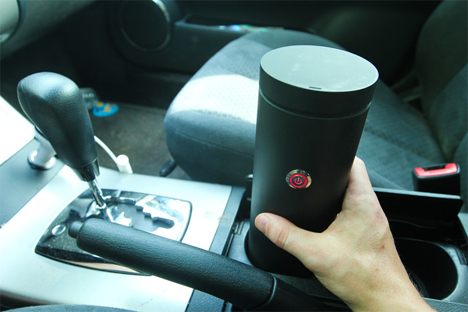 A detachable, USB-rechargeable battery pack is installed at the bottom to provide the mug with power. Later, when you’re ready to brew, you just have to push the button. One push brews the coffee at 140 degrees F; two pushes bumps the temperature up to 155 degrees F, and three pushes will get you a cold-brewed cuppa. All told, you’ll only wait a maximum of about three minutes for your fresh coffee. If your java gets cold and you want to warm it up, another push of the button will activate the internal heat plate which will heat your coffee up for you back to the perfect temperature. 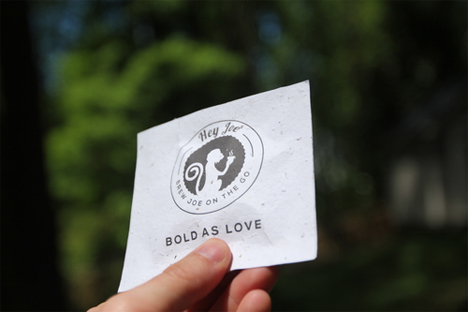 One of the inventors’ goals was to cut down on waste generated by taking coffee on the go. To that end, their proprietary coffee pods are wrapped in biodegradable packaging that contains flower seeds. After you tear open one of the envelopes containing a coffee pod you can plant the wrapper and grow some lovely flowers. You can also use your own coffee sans pod in the Hey Joe, but the inventors don’t recommend it as it tends to cause a bit of a mess. The project soared past its crowdfunding goal on Kickstarter, where pledges of $49 got you a Hey Joe system and an additional $20 could score you 40 coffee pods included with the mug. As of the time of publication they are still accepting pre-orders at $49, so if you’ve ever been out away from home and didn’t want to spend $6 for a cup of tasty joe, this is the time to jump on the chance to revolutionize the way you drink coffee. See more in Home & Personal or under Gadgets. July, 2014.